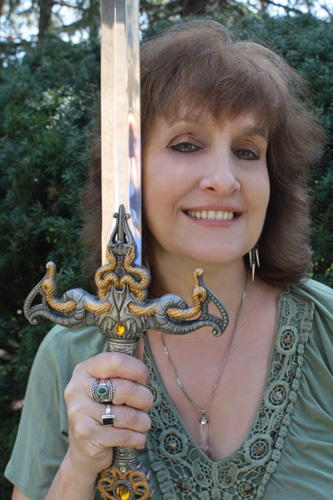 Elizabeth Rose is the author of medieval, paranormal, fantasy western, and contemporary novels. While based on romance, her novels have complex plots, action and suspense. She loves writing bad boy tortured heroes and empowered feisty heroines. 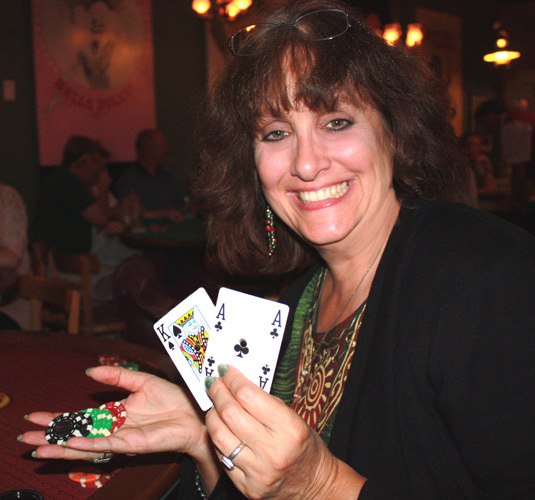 Her books have won rave reviews, and have been seen on The History Channel as well as Wild Chicago. She has been a Sapphire Award finalist, and been nominated by Romantic Times for a Reviewer’s Choice Award. 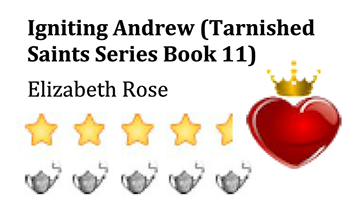 Some of her recent reviews and awards consist of Igniting Andrew that has received a 4 1/2 gold crown heart review from Ind’Tale magazine and will be up for a Rone award. 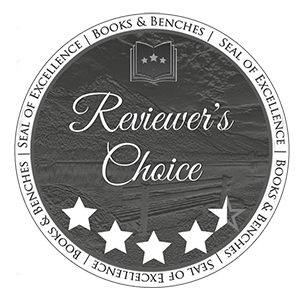 Restless Sea Lord has also received a 4 1/2 star Reviewer’s Choice Award, Seal of Excellence from Books and Benches. She is also a freelance artist and photographer, and has designed nearly all her own book covers as well as her booktrailers. She hopes to visit the castles of Scotland and England personally some day. However, she has been to the jungles of Peru and Machu Picchu which inspired her novels, Curse of the Condor, Eden’s Garden (out of print) and Praising Pete – Book 7 of her Tarnished Saints Series. Elizabeth’s trademark is a rose on the cover of each of her books to let you know it is her work, since there are other authors by the same name. She also ends each novel with the title of the book being the last words of the story. She has new releases every month or so, and more books in the planning so please keep checking back to see what is new. You can follow her on twitter at ElizRoseNovels, or on facebook at Elizabeth Rose – Author (don’t forget the dash.) If you’d like to email, please do so at erose@elizabethrosenovels.com. Hi Liz! I just bought Doubting Thomas and One Red Rose on Amazon for my Kindle. I can’t wait to finish my current book so I can read these. And since we were talking at the grad party, I gotta tell you how much I love the cover of One Red Rose. It’s awesome! Thanks so much Barb and it was great chatting with you about books. I am glad you like the cover, I enjoyed creating all of them. Watch for the second novel in the Tarnished Saints Series, Luring Levi, scheduled to be released some time in July! I really really want to read your books….any suggestions on what kindle to buy? Thanks so much for visiting my site. I’ll tell you, I have a Kindle Fire and just LOVE it. Whatever you end up getting, make sure it is in color as it makes a huge difference, especially when looking at the covers on the amazon site when deciding which books to get. The Kindle Fire is the one that I would suggest. They are not that expensive really, and a great size to be able to just stick it in your purse so you can read whenever you want. Even if you get something besides a kindle, you can still read my books as they are available for all other readers too. Just go to smashwords.com to purchase the novels and you will have a choice of what version you want to download it in. Thanks again! I messed up and put in your hero’s name and then I pressed enter and I didn’t go to each one and get the names until after the fact so I messed up and I can’t get back into the contest! Elizabeth it’s Debi Allen the one who wrote all those reviews on your books. I was wondering if you had a p.o. box that I could get you to sign my book label for my books. It means so much to me. Just got “The Cursed Twin” and “Ruthless Knight” and I will write reviews on them when I finish them. Thank you. Hi Debra! For anyone who would like to drop me a note, my PO box is: Elizabeth Rose, PO Box 664, Downers Grove, IL 60515. Thanks! I would like to personally congratulate you as your blog Elizabeth Rose Novels has been selected by our panelist as one of the Top 100 Romance Book Blogs on the web. I personally give you a high-five and want to thank you for your contribution to this world. This is the most comprehensive list of Top 100 Romance Book Blogs on the internet and I’m honored to have you as part of this! I don’t know if this is where to leave a blog comment, but here goes. In the secondary contest I would like to see a story about one of Doubting Thomas’s older sons. I so enjoyed that series. I read all kinds of romance books, any and all! I won the book that tells the story of the Tarnished Saints so I have to get the rest of the series. Plus The barons bounty Is on my TBR list. I’m glad I found Elizabeth. Restless Sea Lord: Legendary Bastards of the Crown Series: Book 1 is my favorite book so far. Well, I don’t see a bad looking book cover. You’re one creative lady.